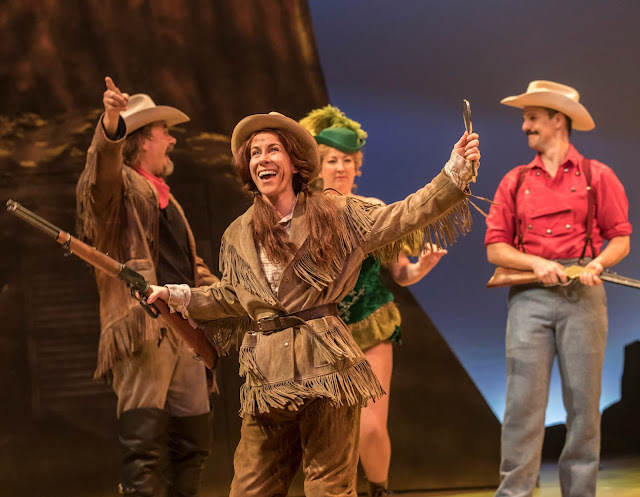 Just before Christmas I was invited to go along and see the stage musical production of 'Annie Get Your Gun' at The Crucible Theatre, Sheffield. It is running from December 2016 to the end of 21 January 2017. I had already thought about planning a trip to the theatre just before Christmas, perhaps a seasonal pantomime, so this was an appropriate and well timed surprise. Theatres bring back nostalgic memories of when I used to be taken by school to see a play or a pantomime in the festive period, so whatever the subject matter, this was sure to bring on my Chritmas spirt. Before I go any further, I must admit that I am usually not a big fan of musicals, as in the past I have thought there is something strange with over the top singing of scenes that would work just as well as spoken word and there are sometimes less than subtle lyrics. However, I did go into this open minded and eager to give musicals another go. 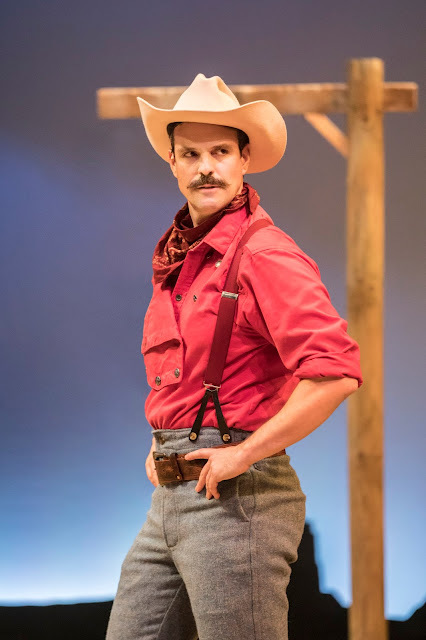 In case you didn't know and not to give too much away; Annie Get Your Gun is a musical production about a historical woman named Annie Oakley, who became very famous in the United States and Europe as the star of Buffalos Bill Cody's Wild West show. Annie's badass rifle skills and straightforward manner allowed her to tour all around the US and Europe, and this production follows the story of how Annie came to meet fellow sharpshooter Frank Butler. The play featured a few very famous show songs, which I did not realise were from Annie Get Your Gun; 'There's No Business Like Show Business' and 'Anything You Can Do'. The cast brought these songs to life brilliantly, with well choreographed and performed routines, so now I won't be able to hear them and not think about this musical. Other songs that I hadn't heard before were also really entertaining. The show was seamlessly put together and everything had clearly been thought about. Alongside the obvious considerations, such as story and script, the set design and how meticulously the stage moved for a set change was impressive, this is in particular reference to a scene involving a train (look out for this if you happen to be going to see the show). As you would expect, this did contain a lot of singing but this added to the story and gave meaningful content to the production. The singing voice of leading role Annie; played by Anna-Jane Casey, was superb as she managed to hit every note and this was all the way through. At the ending of the show I had a beaming smile across my face and it has certainly gone a fair way to convince me that musicals can be worth seeing. 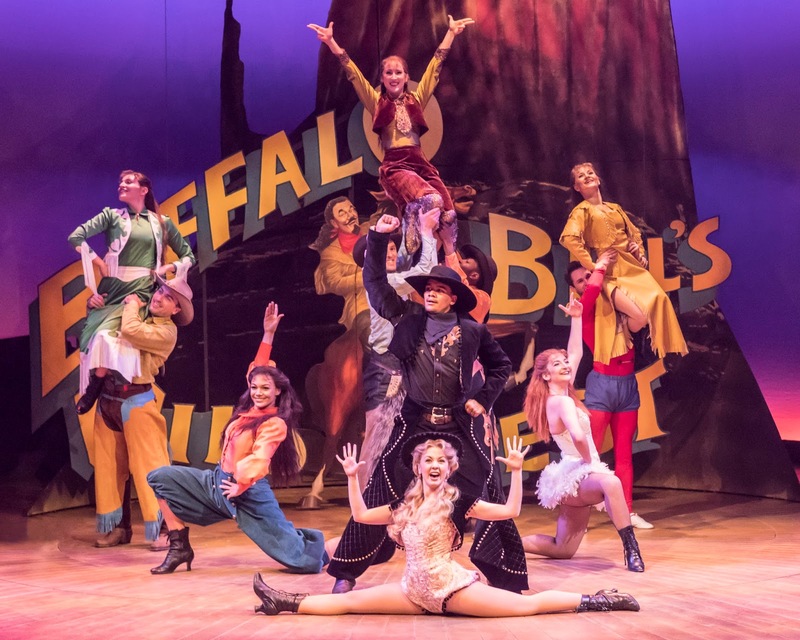 Some of the characters and motivations seemed to be a little strange (Annie has far more potential to be a feminist hero than is perhaps allowed by this story), it is certainly of its time, however this 2016/17 production is enjoyable enough to overlook most of this and as a spectator you will be taken off into the wild west and beyond. It's great fun. I was invited to go along to see Annie Get Your gun but the views and opinions are my own. The photos used in this post are production photos provided by Oliver Eastwood.